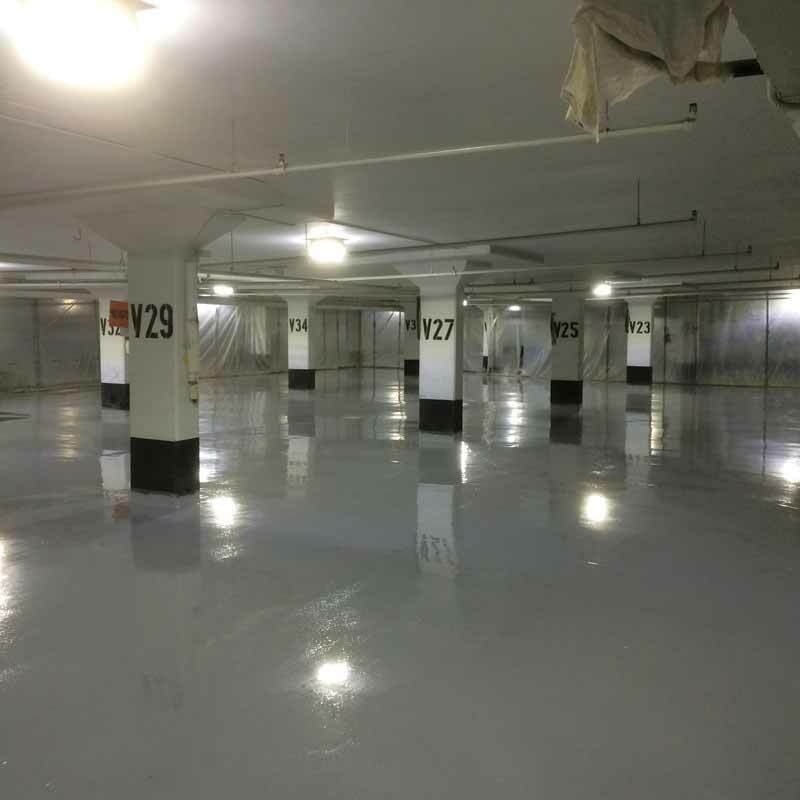 Owners, engineers, and contractors involved in the design, operation, maintenance, and restoration of parking garages and building podium decks need to understand the role and importance of waterproofing systems in protecting these facilities. When there is a lack of proper attention to these systems, repair and maintenance costs increase and anticipated service lives suffer. Methods of protection for parking garages and podium decks have evolved and changed dramatically over the past 30 years. Old ways of thinking and design have given way to new understandings of deterioration mechanisms and protection needs—some of which are reflected in new requirements in the Canadian Standards Association (CSA) S413, Parking Structures. The increased understanding of how moisture and de-icing salts accelerate deterioration in concrete and steel structures has encouraged growth in this sector. The long-term performance of these buildings is directly related to the effectiveness of the waterproof barriers utilized to prevent moisture and de-icing salt contamination, as well as the management of the salt-laden water entering the facility. By effectively protecting the structure and maintaining waterproofing systems in a state of good repair, owners can slow down the rate of deterioration and allow for safe, uninterrupted use of the building for a long time. The structure’s protection also ensures stability in the value of the asset by limiting deterioration and closures, and reduces long-term capital expenditure costs. On the other hand, the failure of waterproofing systems often results in economic losses, including damage to building occupant vehicles, expensive structural repair costs, and opportunity losses during repair work as a result of parking garage closures. A functional waterproofing system is, therefore, the front line of defence for any structure subjected to vehicle use and de-icing salts. Deciding to protect a structure with a waterproofing system is a simple and necessary step. However, determining the specific waterproofing requirements to meet the structure’s needs for the long term is more difficult. It is important to understand the critical elements to look for in an effective waterproofing system. The obvious purpose of a waterproofing system is to prevent the flow of water and dissolved salts into and through the structure onto vehicles or into the occupied space below. Careful consideration and effective detailing at termination points, drains, pipe penetrations, cracks, and joints are required. An example of deterioration of a thick waterproofing system on a roof deck. Nearly all parking garage surfaces are concrete. With very little exception, concrete does one thing really well—cracking. An effective waterproofing system must therefore bridge cracks, which will open and close as a result of temperature changes and cyclical loading over the structure’s lifespan. If the system cannot continue to bridge cracks, it becomes an easy avenue for moisture and chlorides to circumvent a surface-applied waterproofing system. 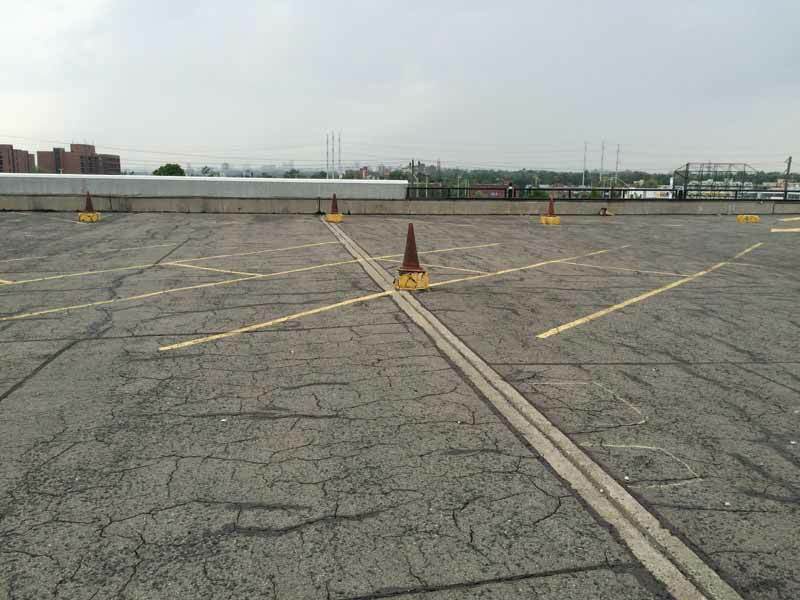 Slip resistance is important for vehicles and pedestrians as they travel through a structure. Health and safety of users is negatively impacted if a waterproofing system becomes slippery—when wet or with time. Therefore, initial and long-term slip resistance mechanisms are necessary. A poorly designed waterproofing system can wear with use, or deteriorate due to specific environmental factors. Accelerated wear and deterioration may significantly impact performance and service life. A waterproofing system must withstand the aggressive environment in which it operates, retain adequate functionality, and meet its required service life. Worn waterproofing may quickly lose slip resistance, and deteriorated installations cannot effectively prevent moisture and chloride ingress into the structure. Critical areas with increased vehicle loading (e.g. loading docks, truck traffic areas, and drive aisles) often require more robust designs to meet similar service lives as other areas.